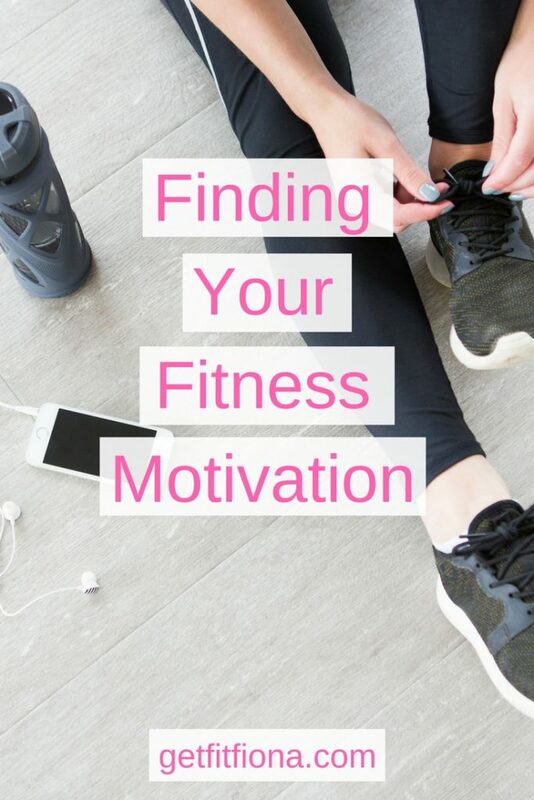 Today I’m sharing some tips for finding your fitness motivation. I think everyone has days where they struggle finding the motivation to make it to the gym. I’m hoping that this post will help. This might be a no brainer, but making sure you’re doing a workout that you enjoy can make all the difference. Don’t sign up for a half marathon if you hate running. If you’re unsure of what you do enjoy, take different fitness classes to find out what you like. Similarly, drop in sports are perfect to figure out what you like. Since you only pay for the days that you show up, it’s budget friendly and there’s little commitment. Not all workouts have to take place in a gym. Think outside the box (or gym) and take your workout outside. It’s cold and snowy here right now in Calgary, so trying cross country skiing, snowshoeing, or snowboarding are all options. Make a workout date with a friend. I spent two years going for weekly walks with a friend and her two kids. Knowing that she was counting on me to show up made all the difference in my motivation to be active. If you have a favorite teacher who teachers group fitness class, commit to going to his or her classes. If they’re your favorite, you’ll have added motivation to go. This is one that I know I can do better at, but talk to people at your gym. Having it be a friendly place where you know other people will make it more likely that you’ll end up going consistently. It’s easy for me to put on my earphones and start a podcast while I’m still in the change room and not turn it off until I get back to the change room. I’ve been trying recently to turn off my podcast after I’ve finished my workout and do my cool down with my earphones out of my ears. That little change has meant that I’ve had a few conversations with people that I wouldn’t have had otherwise. Knowing that each workout has a specific purpose will keep you going. Sign up for a race – having a training plan where you’re committed to workouts will give you that little bit of extra motivation. Sign up for a challenge at your favorite fitness studio if you’re not a runner. My favorite yoga studio runs challenges a few times a year. Being able to put a sticker up at the end of each class you take can be just the thing you need to get you there. It might be silly, but I’ve seen lots of people on Instagram share about completing challenges because of marking off a square and visually seeing themselves getting closer to their goal. Embrace technology and use it to your advantage to motivate yourself. I personally love my Fitbit Charge 2 (affiliate link). It tracks my sleep, resting heart rate, heart rate and heart rate zones while I’m working out, and keeps a log of my workouts. I really love using it – more than I thought I would before I got it. Alternatively, if you’re a runner or cyclist, keep track of your workouts on Strava. Buy yourself a GPS watch and keep track of your mileage. I think everyone pushes a bit harder when they’re listening to great music. 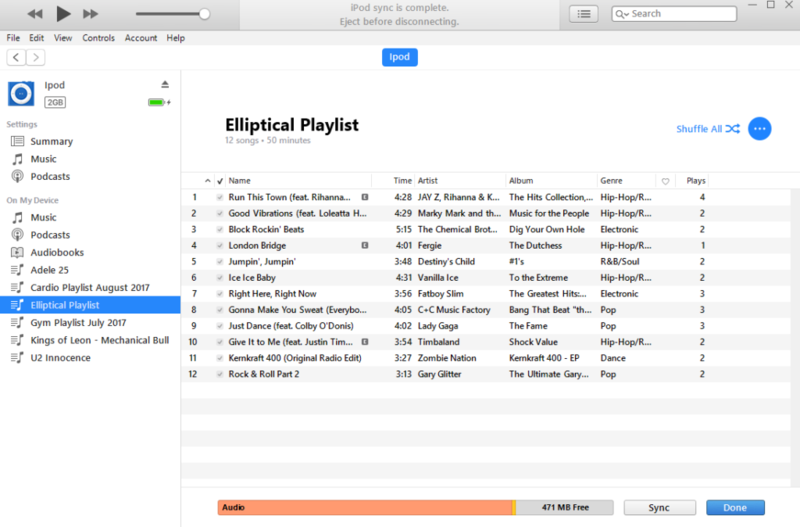 Put together a playlist of some of your favorite upbeat music. I like to only listen to my workout playlists when I’m at the gym. That way they “stay fresh” longer and if I’m wanting to listen to a specific song on my workout playlist, it means that I have to go to the gym. If you’re looking for ideas for songs, you can find all of my workout playlists here, and Spotify usually has some pretty great playlists as well. Make a deal with yourself that after completing 10 group fitness classes, or doing all of your planned workouts for a month, you’ll buy yourself a treat. That could be a new pair of leggings or a relaxing massage. Knowing that you’re working towards something that you want can make all the difference between skipping a workout or getting yourself to the gym. I know for myself that I’m much more likely to get to the gym if I’ve written it down in my planner. I like to write down all of my workouts at the beginning of the week. I’m not quite sure what it is, but somehow having it written down gives me that little extra bit of motivation to get it done, even on days when I don’t want to get out of bed. If my workouts aren’t in my planner, I’m less likely to go to the gym. Treat your workouts just like any other appointment that you’d put in your planner. You wouldn’t bail on an important meeting at work or on dinner with a friend at the last minute, would you? Sometimes workouts seem to accentuate all the things that you can’t do yet – missing that PR you’ve been chasing for two weeks now or not being able to get that handstand yet. Consider changing your mindset and thinking differently about your workouts and what your body can accomplish. Focus on your strengths instead of your weaknesses. If you’re dreading missing that PR again, you’re less likely to do your workout. In addition, stop following those accounts on social media that bring you down. I think it’s an individual thing, (an account can be motivating for one person and de-motivating for another), so do what’s right for you. Lastly, listening to your body is so important when it comes to fitness motivation. One of the reasons that so many people fail at their New Year’s resolutions is that they try to do too much too fast. If you’re sore or have a nagging injury, give yourself a day (or longer if need be) to feel 100% again. It’s so not worth pushing through pain if it means you’re just going to end up feeling worse or injuring yourself even more. I promise that one missed workout isn’t going to ruin all of your progress. Caring for your body when it’s less than 100% is just as important as working out. What’s your favorite tip for fining your fitness motivation? Leave it below in the comments.